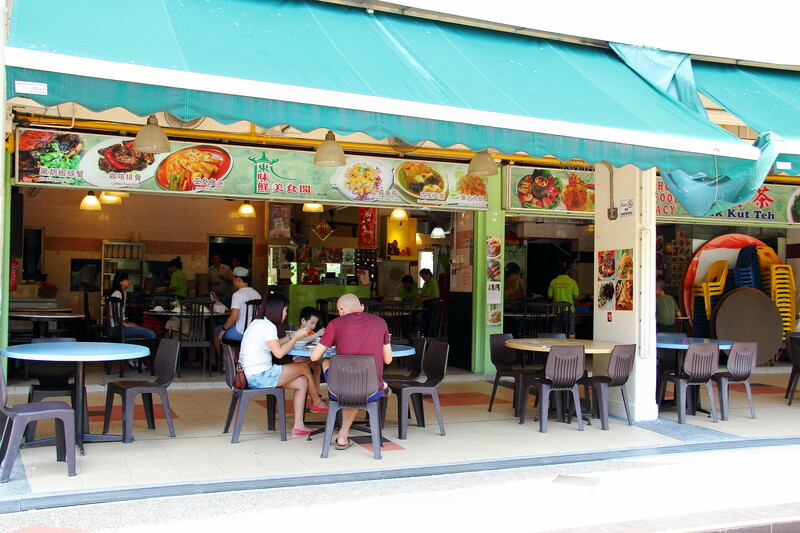 If you are a foodie, you would probably often hear the saying that good food resides in the East of Singapore. It is actually quite true with the recent discovery of Eastern House of Seafood located at the HDB block in Chai Chee Drive, woking up a delectable selection of zichar dishes. Don't be mislead that I am having extinct meat in the Dinosaur Pork Rib ($16). The pork rib is hugemongous hence the name. 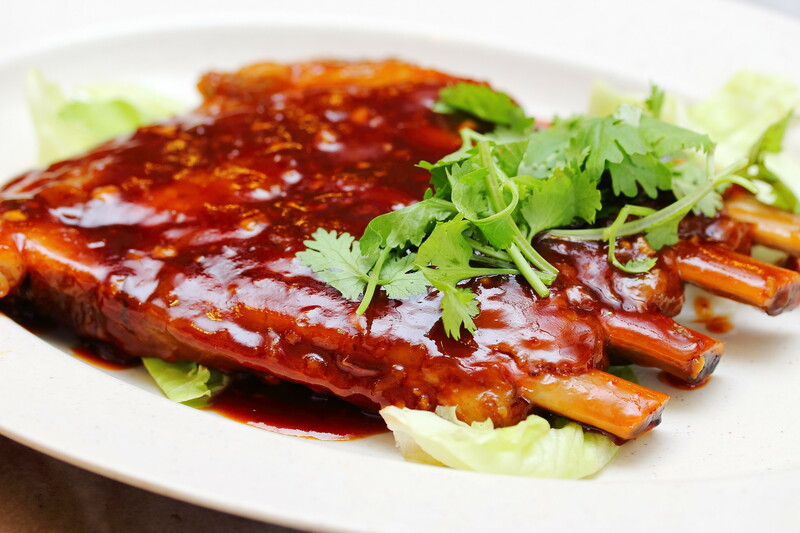 The pork rib is cooked to a nice tender and fell off the bone with ease. I found the sauce on the sweet side but my friends thought otherwise. 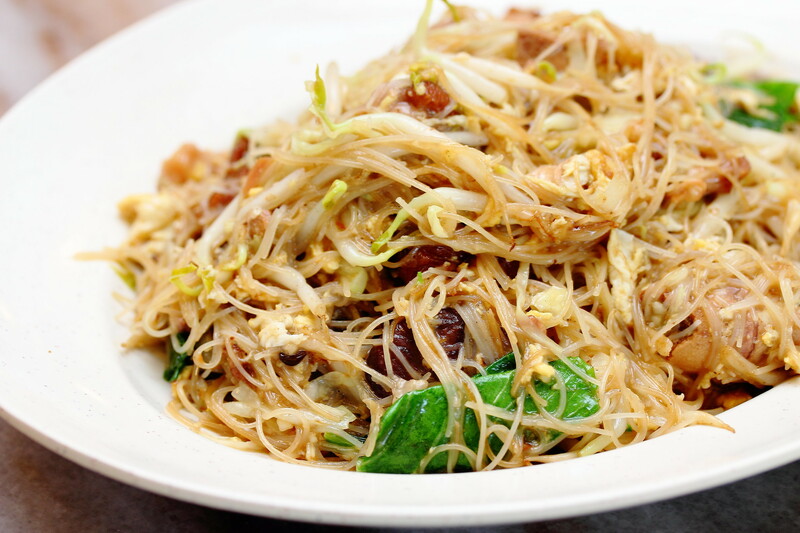 One of my favourite dishes is the Fried Beehoon with Pig Trotter ($8/$16). The beehoon infused with the pig trotter's essence came across comforting and flavourful. Definitely a dish I would recommend ordering to go with the other delectable dishes on the menu. The Dry Roast Sotong ($15/$22/$28) is a must try at Eastern House of Seafood. Marinated overnight with soy sauce and celery, the sotong is understand to be bathed in hot oil instead of grill. 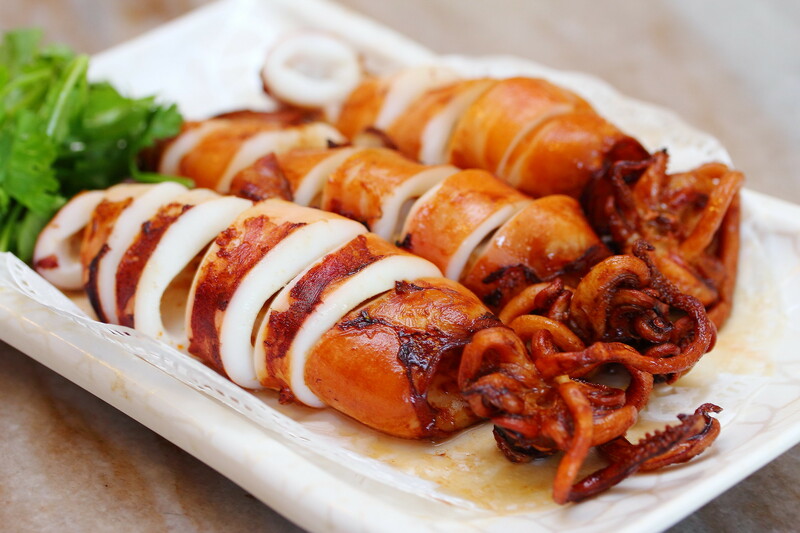 It results in a tender sotong with the marinade kind of glued to the flesh. Every bite into the flesh is returned with a burst of lovely flavours. 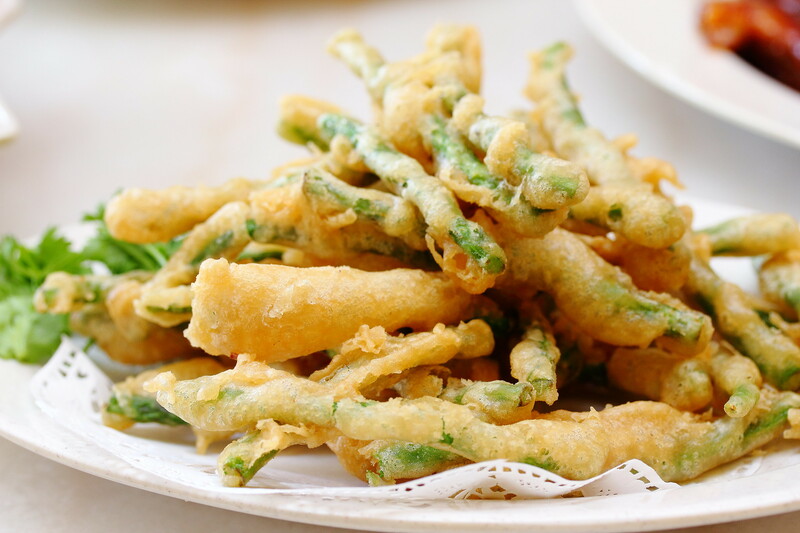 I have mixed review of the French Bean in Tempura Style ($15/$20/$25). I think kids will enjoy this with the crispy tempura. However for adult like me probably felt that the batter masked off the natural flavour of the greens. The Prawn with Pork Floss with Rice Cracker is a new dish that the chef prepared for us, this is not even in the menu. 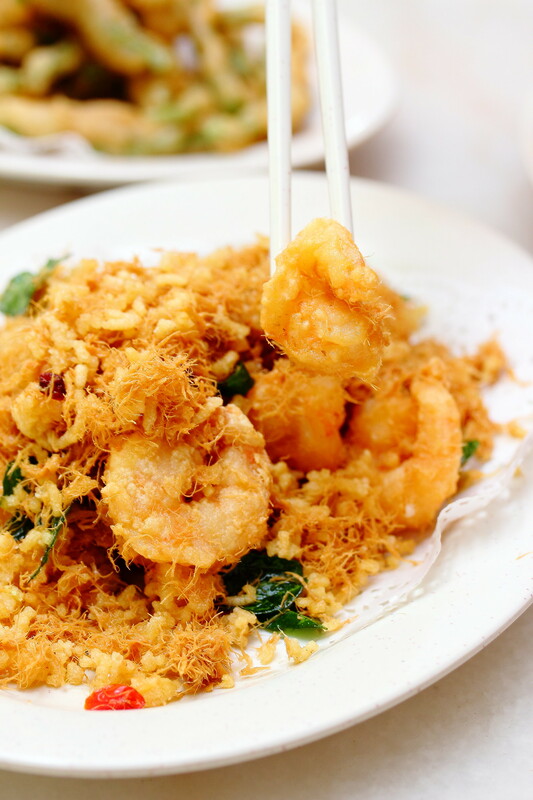 The is an addictive change from the usual cereal prawn/ The crunchy prawns accompanied by the pork floss and rice cracker, provides a multi textural enjoyment. While Chilli and Black Pepper Crabs are the favourite among manys, I felt that Salted Egg Crabs (2 for $50) has won the hearts of many too, especially those that can't take spicy. 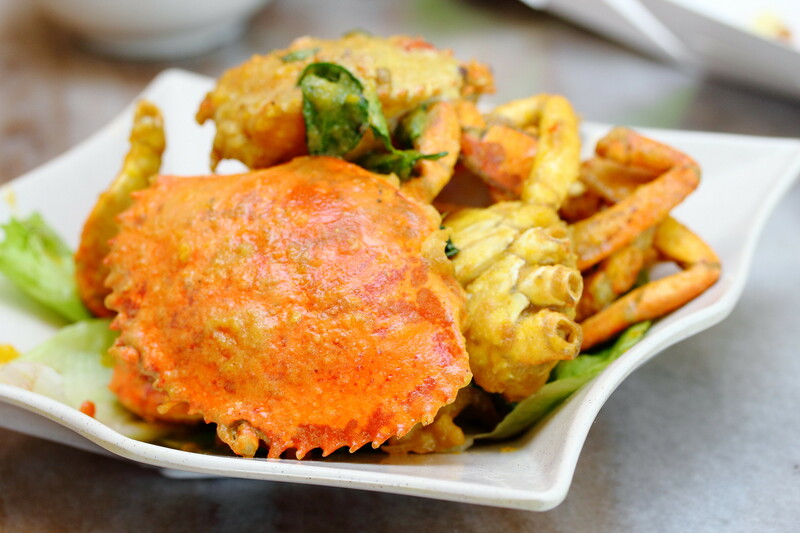 At Eastern House of Seafood, the version is consider the dry style using crabs around 500 to 600 grams. One just need to get into it and get your fingers dirty. It is simply finger licking good. When the Assam Fish Head ($18/$20) was served, the first thing I noticed is the huge portion for the price. This is really value for money. 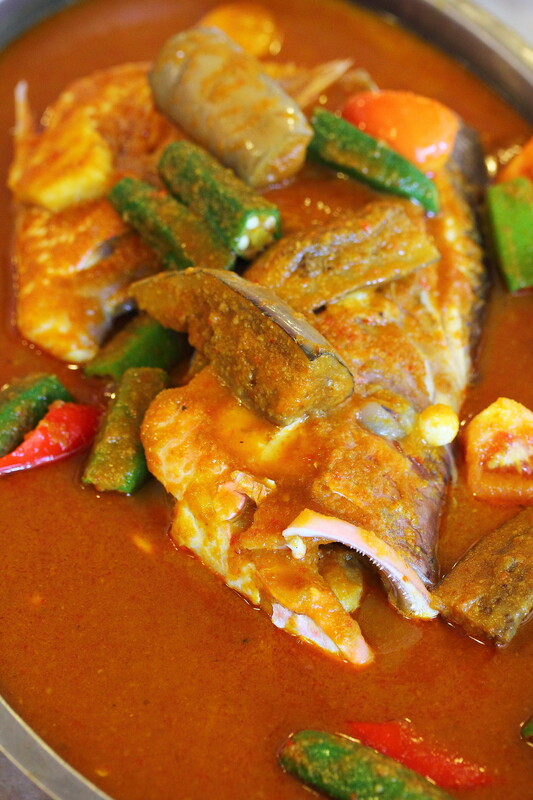 The rich and robust assam gravy with its spiciness and tanginess, made this super shiok! Give me another bowl of rice! If you are looking for a place to have a good zi char dinner with your family or gathering, I would recommend Eastern House of Seafood. The pricing is very reasonable with good quality and delicious food.